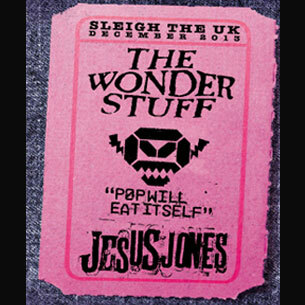 Following the success (I assume it was a success) of the 2012 #sleightheUK tour, The Wonder Stuff have announced another tour featuring Pop Will Eat Itself and Jesus Jones in December 2013. Tickets are available from Monday 24 December (Christmas Eve -hint hint!) at places where you usually buy tickets from.